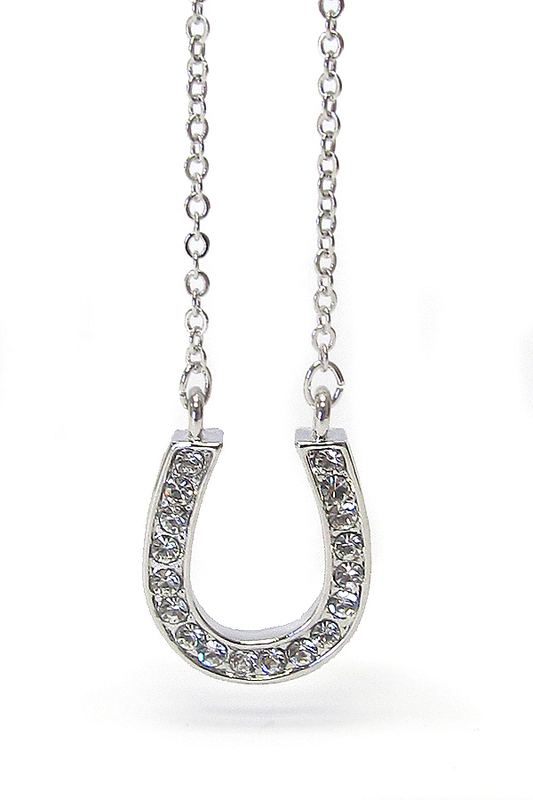 This high quality silky silvertone snake chain is followed by a lobster claw style clasp. 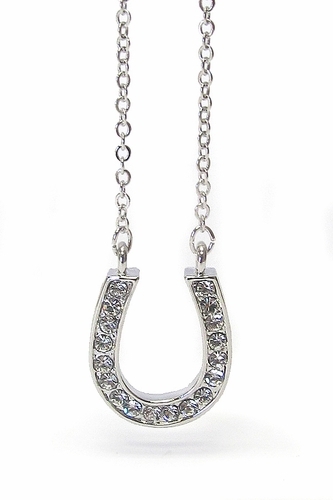 The horse shoe suspends in the center, encrusted with mini crystals in clear. 18" long.